KAMPALA – Moses Ssali aka Bebe Cool has been urged to be humble while supporting President Museveni since he may be discarded like all other past diehards. 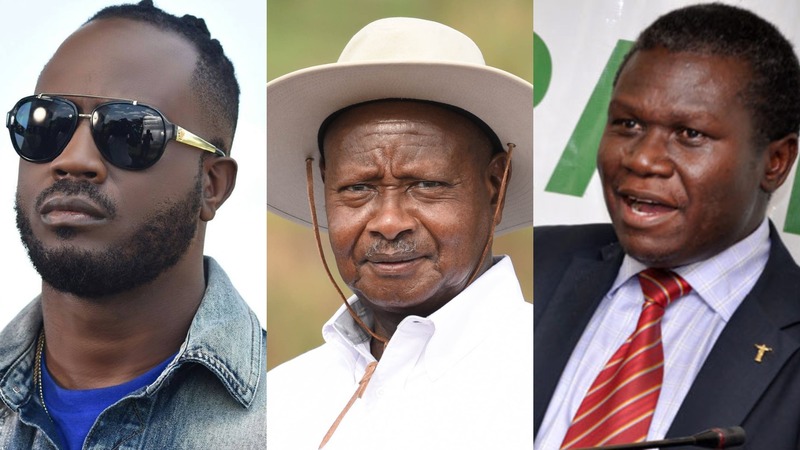 Bebe Cool, an artiste, has been engaged in a war of words with supporters of Kyadondo East MP Robert Kyagulanyi aka Bobi Wine as the latter opposes Museveni. But Democratic Party president Norbert Mao said Bebe Cool should know that Uganda’s politics does not start and end with Museveni. “Right now, our politics is pro and anti-Museveni but some of us want to transcend Museveni, to transcend above these extremes. At the end of the day, these things didn’t start today,” said Mao. The duo was appearing on NBS TV’s political talk show the Frontline on Thursday evening alongside Opposition Chief Whip Ibrahim Semujju Nganda, Uganda Media Centre Executive Director Ofwono Opondo and FDC vice president eastern Salamu Musumba. Mao added that Bebe Cool should learn to be accommodative and not allow his music to be drowned in fights. “But he’s not only your president and one day he’ll discard you like he has done to many before but at least Kyagulanyi also has an oath,” Mao told him.